The Beastie Boys: legends among men, and princes of their genre despite being somewhat indicative of several at once (is it rap? spoken word rock? something else entirely?). Some things never change; the right to party rests not in dubstep or chillwave, but a certain funky sound by three white kids from New York City who cram stadium status into every taunt. And they still got it after all these years, despite the landscape around them changing all the way from Sugar Hill to Odd Future. 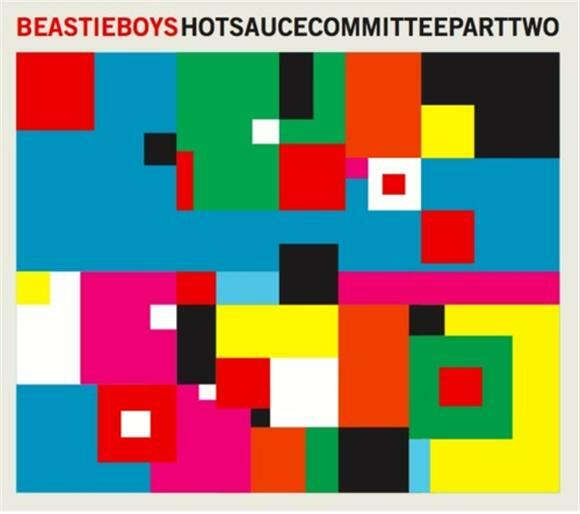 First single "Make Some Noise" is a strong and specific indication of Hot Sauce Committee Pt. 2's quality. Part homage, part party-bus, part overdose of hallucinogens; the song combines some of the best qualities of the Beastie's catalog. The scales shift slightly on other tracks, but not by much. On "Say It" the sound of the boys lyricism/timbre/delivery winds up being more important to the oeuvre than what they are saying; a Beastie Boys staple. They're goofy and playful when grinding up against beats so big they could sink ships. You can hear the hours spent on drum production alone; staggering,and totally necessary for that fat Beastie aesthetic. Part of the appeal is the group's self awareness, but that's indicative of maturity as well as skill. Count the references. Their history plays an important role in the fun of Hot Sauce, with plays including "party for your right to fight" in "Make Some Noise", and the aptly titled "Funkey Donkey", among many more minor points and phrases. Only two voices guest star but their presence is telling; the illustrious hipster glitter-and-blues princess Santogold, and Nas on a track about too many rappers (titled "Too Many Rappers"). No one knows how to strike a balance quite like the Beastie Boys, half playfully hip, half serious old-school swag, and all fun, all the time. Even "Tadlocks Glasses" could get some play at a party. The "three idiots" just continue making masterpieces. The shelf-life of their style is the result of the quality of their inventiveness and responsiveness. From the undeniably iconic "(You Gotta) Fight For Your Right (To Party!)" to the spastic space-noise of "Intergalactic" (being no less infectious), no one could accuse the Beastie Boys of complacency despite their consistency in timbre. That's huge for an artist who many irreverent kids today dismiss as a gimmick, despite being into some suspect one-note wonders themselves. "Burn the competition like a flamethrower/My rhymes/age like wine as I get older" is one of the initial jabs of "Make Some Noise" and the album, and it's just the right amount of goofy flaunt and meta-analysis to perfectly encapsulate what the Beastie Boys are all about, and how well they execute. Right to party granted.